Thank you for the wonderful experience you have given us over this past year. The numerous drafts of our home and the meetings arranged around our work schedules were the first indication that you were ready to go the extra mile to make, what can be a stressful time, into a concerted effort to build the home that we envisioned. The construction process was seamless, even when we made changes your crew was very obliging. Trim Crafters did that extra work that most people would not do in today’s world. You exceeded our expectations from the initial planning, to the construction and the move in; everything went so smoothly. We have a beautiful, finely crafted home for our family and our guests to enjoy. We know we could not have selected a greater company to work with and we truly thank you for our beautiful home. Marlin and Matt are very deserving of their name, Trim Crafters. They are both true craftsmen who take a great deal of pride in their workmanship. They were a big help in the planning, design, and completion of our lower level. They were able to make our vision of our project a reality. We are extremely happy with their work and would recommend Trim Crafters to anyone considering a building project. After touring two Trim Crafters homes in one of the Wausau Area Builders Association’s annual Parade of Homes, we knew they were the perfect builder for us. We were dreaming of a new home for over 15 years and knew they could make our dream a reality. Building our dream home was a big decision and from the day we met them, we knew they were the honest, reliable builders we were looking for. We were so impressed with the quality of their work. They are hard working, considerate and their team of sub-contractors cannot be beat. They provided us with sound advice every step of the way. Matt and Marlin make a super team! Their attention to detail and efficiency cannot be beat. We love our new, beautiful, energy efficient Trim Crafters home and if given the opportunity, we would not hesitate to build another quality home with them. If you are looking for a builder with excellent workmanship and fine finish details, then Trim Crafters is the contractor for you! We wanted to express our sincere thanks for making our building project such a great experience. We cannot say enough about how smoothly the entire process went and how pleased we are with our new home. Immediately after walking through your 2013 Parade Home, we knew that we wanted you to build our next house. The craftsmanship and attention to detail were unlike any we had seen. In just four short months, you transformed our simple graph paper sketch into a dream home that we will enjoy for many years to come. It was a pleasure working with both of you and all of your sub-contractors. Thank you again, and do not hesitate to call on us to give a highly favorable recommendation to any potential new clients. We were so blessed to have found Trim Crafters to build our home! We met them at their Parade Home last year and knew in our heart that they would build our new home as well! We looked at many existing homes and did a great deal of research among other area builders before making our decision. Trim Crafters exceeded our expectations in all aspects including value in pricing and energy efficiency throughout. Most importantly, the trim work is excellent – unbeatable workmanship! It is one of the first things we noticed in their parade home. It was just obvious to us we had found a builder who cared about their reputation - even the smallest corner of trim behind a door was finished impeccably! They hire quality sub-contractors who respect each other’s work as well. We were impressed how Matt and Marlin paid attention to every detail and were always open to ideas we had along the way. They made us feel comfortable and assured that we could trust our home would be built with pride and quality workmanship. No doubt, building a house can be a very stressful project with all the decisions that must be made. But Trim Crafters made the building process go smoothly: by meeting around our work schedules, arranging visits to homes for additional ideas, and giving us timelines to follow. It was so exciting for us to see the progress made each day! Our home was ready to move in when promised and we continue to receive compliments on how beautiful our home is! Valued opinions and comments came from the building inspector, bank appraiser and tax assessor. These are professionals that view thousands of homes and know what to look for. Statements they made include: “A+ workmanship”. “The quality of this home ranks among the top builders in the area”. “So beautiful – I cannot stress it enough, the remarkable home you have here – Just awesome”. These compliments to Matt and Marlin’s work are well deserved. Building a home requires a great deal of planning and if you are fortunate enough to have a good builder, you develop a trusting relationship with them. We feel grateful to call Matt and Marlin not only our builders, but most importantly our friends, and we honestly miss seeing their smiles every day! They are just really good guys! They made this entire process an enjoyable one. You can count on Trim Crafters to make your house a home to cherish forever – We couldn’t be happier with our new home. Matt and Marlin – We sit in our great room some days and say, “Is this really ours?” “Did we really plan all of this and watch it go from a hayfield to a beautiful home?” You made our dream of many years a reality and we absolutely love it! We wish we would have built years ago. But then we may not have known you. Things happen for a reason, so we feel the timing was meant to be now. From the bottom of our hearts - Thanks so very much to both of you! Trim Crafters did an excellent job building our home. We were very pleased with the process from start to finish. The quality of their workmanship is unsurpassed. Their attention to detail shows in the finished product. They were very accommodating and flexible when any changes needed to be made in the plans at every stage of the project. They are patient, personable & trustworthy. They were willing to modify the plans to fit our desires without a hassle and were always ready to offer options that were reasonable. I would recommend them to anyone who is serious about having a well-built structure that will last. If we ever build again, we will definitely be using Trim Crafters. We are more than happy to recommend you and Trim Crafters Custom Homes to any prospective clients you may have. As always, we remain willing to open our home and to share our positive experience working with you and your subcontractors. Your work ethic has attracted a very professional, neat and courteous group of knowledgeable craftsman. When issues or concerns did arise, both during and after construction, you were always quick to respond. Issues were resolved to our satisfaction without hesitation on your part. It is amazing to think that we have been living in our home for nearly three years now, and there have been no major problems. That speaks to the quality home construction that you are, no doubt, proud of. Please feel free to use us as a reference for any future clients that you may have. 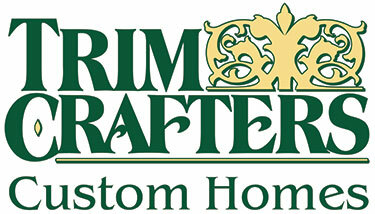 If you are looking for your next home to be built right, choose Trim Crafters. Matt and Marlin take such pride and care in all that they do. They Really live up to the name of Trim Crafters. We were always amazed at how much would be accomplished in a day, with beautiful flawless trim joints and craftsmanship everywhere. With Marlin’s family connections, we were furnished with beautifully crafted quality cabinets and a fireplace surround at a reasonable price. Matt listens to what your wants and needs are and carefully guides you through the decision making process to keep you on budget without forcing his ideas on the customer. I especially appreciated how Matt listened to what we wanted, and if it was structurally and financially possible, he assisted to make it happen. When we would get too wrapped up in the desire column he would assist us as to how to get the quality house we wanted by making reasonable modifications to keep us on budget. He does not assume anything; he meticulously checks to make sure that things are ordered correctly the first time to keep his projects on track. With an excellent set of subs (and Trim Crafters keeping them on task) it is amazing how quickly the house is completed. We never regretted our decision to build with Trim Crafters and would not hesitate to build with them again (though, we don’t intend to move out of our beautiful new home any time soon)! Shortly after you left the house yesterday, the rep. from Liberty Insurance came to look things over to be sure that all was up to code etc. He was VERY, VERY, impressed with the construction overall —and that some codes that are new for 2015 are met----the best he’s ever seen —he’d like to use the work that all of you have done to show to other builders to show how excellent construction is done. He had no corrections or recommendations (most unusual in his line of work, he tells us) His only request is to be sure that you use a fireproof board around the fireplace because even w/ gas the surrounding area can get very hot. Congrats for a very good job in progress Thanks!! !